Captain Sun on the Move…Literally! | The Captain Sun Adventures! Captain Sun on the Move…Literally! 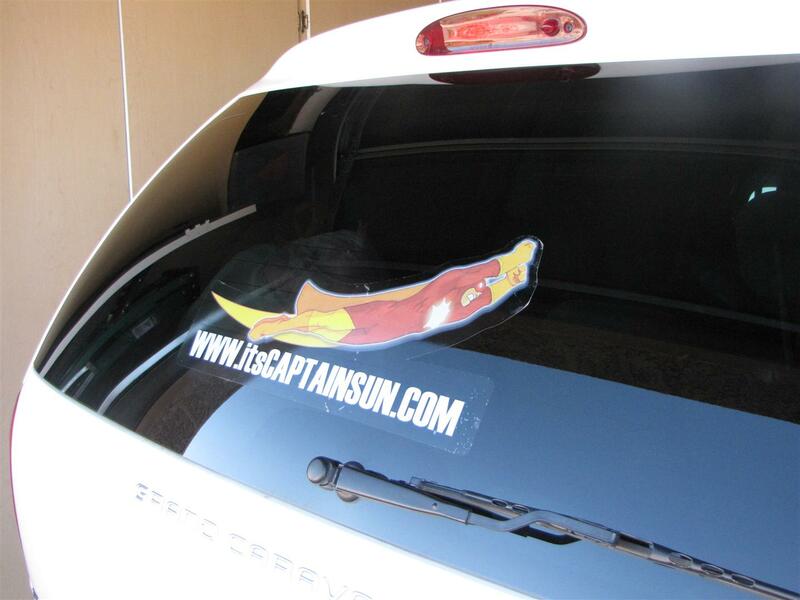 Captain Sun has hitched a ride on the back of our minivan! He’s been spotted all over the Southwest Valley of the Sun. ← Captain Sun Flies Over to WonderCon 2012!